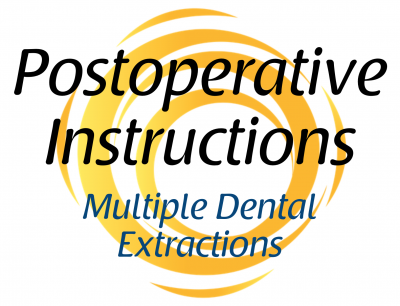 Oral surgery procedures are performed by the oral & maxillofacial surgeons Drs. 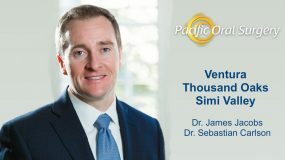 James Jacobs, John Webb, and Sebastian Carlson from Pacific Oral Surgery in Thousand Oaks, Ventura, and Simi Valley, California. Some of the most common oral and maxillofacial surgical procedures are dental implants, bone grafting for dental implants, and wisdom tooth extraction (third molars). Their subspecialty knowledge and skills make them proficient in the management of bony and soft tissue reconstruction of the entire maxillofacial skeleton. 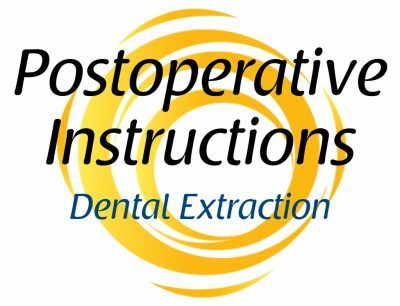 Major areas of their practice include the procedures listed below. Bone grafting for dental implants is a surgical procedure performed to build up the jawbone in preparation for dental implants. Learn more about bone grafting for dental implants. Dental implants are metal posts implanted into the jawbone to replace the tooth root. They provide a strong foundation for prosthetic teeth that look, feel, and function like natural teeth. The new teeth provide structure for normal facial contours, restore a confident smile and allow the patient the ability to eat all foods. Learn more about dental implants and benefits. 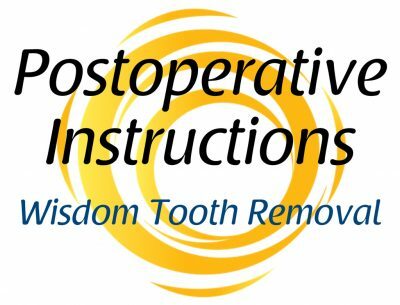 Wisdom teeth extraction is indicated when the teeth are diseased or impacted. When wisdom teeth are healthy and not misaligned, they do not need to be removed. Learn more about when you should have wisdom tooth extraction. 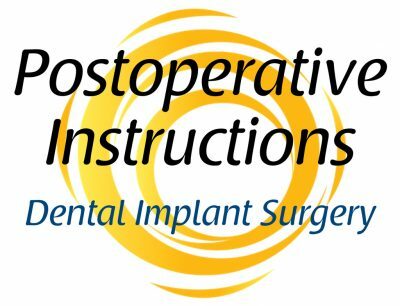 Computer-guided dental implant surgery represents the latest advanced technology used by Pacific Oral Surgery for replacement of teeth with dental implants. 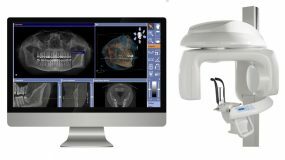 Using their on-site Cone Beam Computerized Tomography (CBCT) scanner, our oral surgeons can now visualize the placement of dental implants in 3D. This eliminates any guesswork in determining what parts of the jawbone offer the best sites for dental implant placement. Learn more about guided dental implant surgery and how it benefits our patients. An impacted tooth fails to emerge through the gums. The most common is the impacted canine tooth. Canines are the last anterior teeth to erupt in the mouth (typically the upper ones). Because of their slow development and late eruption, they may have difficulty erupting in the available space. Canines may erupt inward (ectopic) or outward. When they fail to erupt, it is referred to as impacted. 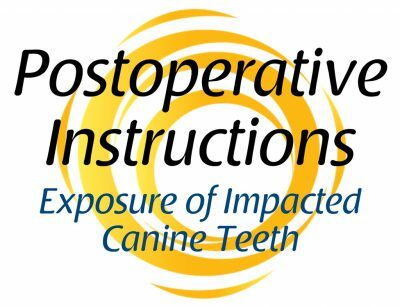 Learn more about ectopic and impacted canine surgery. The Bar Attachment Denture Procedure is a new and cost-effective procedure to help patients whose teeth need extraction or those already without teeth to rapidly regain a fully-functional mouth and jaw. It is a dental implant procedure that uses the fewest implants, avoids bone graft surgery, and provides high-quality restorative results in one single procedure that lasts about an hour. 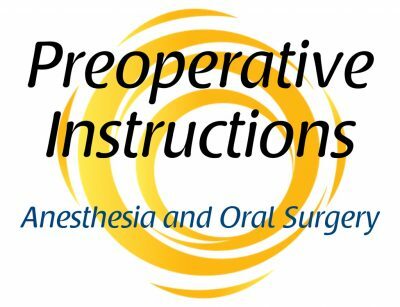 Preprosthetic surgery is a minor oral surgical procedure performed in patients who require preparation of their mouth before the placement of a prosthesis. Orthognathic surgery or corrective jaw surgery is performed to correct developmental growth abnormalities of the jaws and facial bones. Patients with these abnormalities usually present with misaligned teeth (dental malocclusion). Learn more about corrective jaw surgery. 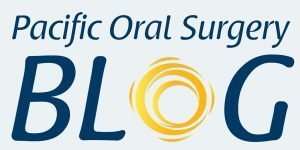 Pacific Oral Surgeons specialize in the diagnosis and treatment of oral and maxillofacial disease. Forms of oral pathology include cysts (sac of fluid or soft material), benign and malignant tumors (oral cancer), and severe oral infections of the mouth and salivary glands. Our oral and maxillofacial surgeons perform reconstructive surgery following cancer resection, thus returning patients to optimum levels of appearance and function. Learn more about oral pathology. A sinus lift, or subantral graft, is utilized for cases in which there is not enough upper jawbone between the maxillary sinus and the oral cavity for implants to be securely placed. Learn more about sinus lift surgery (sinus augmentation) for dental implants. All-On-4 dental implants is a procedure to replace dentures, thus relieving the patient of the discomfort and hassle of dentures. Only four dental implants are needed to hold a full arch of teeth. Learn more about All-On-4 dental implant procedure and how just four dental implants can replace all of the teeth with a dental arch on the top or the bottom of the mouth. Temporomandibular joint (TMJ) and jaw muscle disorders present with dysfunction and pain in the complex jaw joint and the muscles that control jaw movement. It is important to seek treatment from TMJ specialists if you have symptoms of persistent jaw pain that does not eventually go away, or a “clicking” sound during chewing because these symptoms can develop into long-term problems. 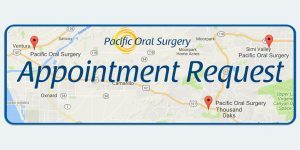 At Pacific Oral Surgery, our oral and maxillofacial surgeons diagnose and provide surgical and non-surgical management of temporomandibular joint (TMJ) disorders. Pacific oral surgeons correct lower jaw (mandible), upper jaw bone (maxilla), facial bone and surrounding facial soft tissue defects resulting from trauma or the removal of tumors. Reconstructive surgery restores function, and cosmetic surgery improves issues with unwanted facial features due to aging or birth defects. Obstructive Sleep Apnea Syndrome is a condition involving significant airway obstruction during sleep due to the tongue falling to the back of the throat blocking the upper airway. This upper airway narrowing, or collapse, can result in lower amounts of oxygen in the blood, which causes the heart to work harder. It also causes disruption of the natural sleep cycle due to frequent sleep arousal, making people feel poorly rested. A cleft palate occurs when the roof of the mouth (palate) does not close during development. The opening extends into the sinus cavity and may be seen in conjunction with a cleft lip. A cleft lip can range from a small notch to a large opening extending from the lip up through the nose.